Congratulations on your upcoming campus change! During the academic year our office is open from 8am-5pm Monday through Friday. During the summer, we follow the University’s “Summer Hours”, and our office is open from 7:30am-4:30pm Monday through Friday. 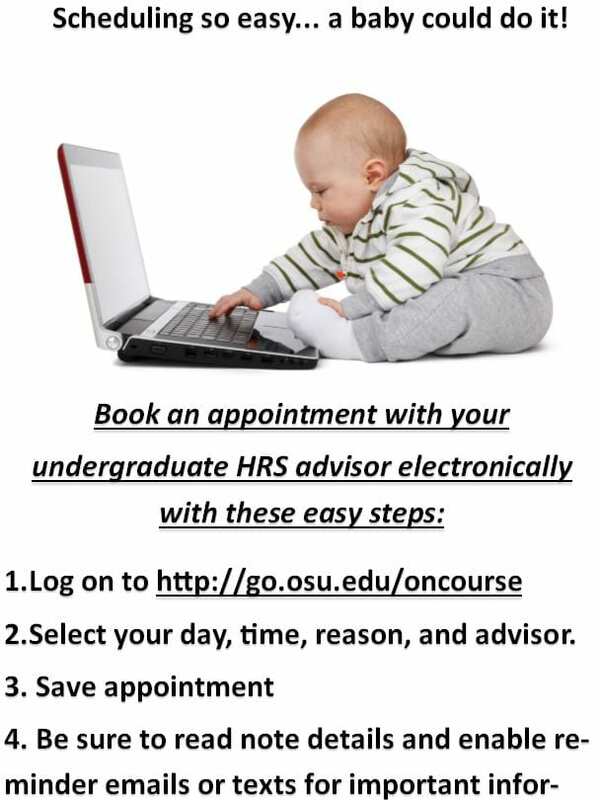 Current HRS students may schedule an appointment with an advisor by calling 614-292-1706. Students exploring HRS majors as an option may review the Major Information Session information (click here for instructions on how to do so) before calling the office to schedule an advising appointment. Attend a Fulbright Information Session! Interested in Pharmacy? Consider attending these events!